Killian knew his mate was out there. Being celibate in hopes he’ll find his female hasn’t been a hardship, but he’s growing impatient. And then he sees her. She’s human, gorgeous, and will be his. He doesn’t even know her name, but her smell is sugary and tells his possessive inner bear she’s supposed to be his in all ways. 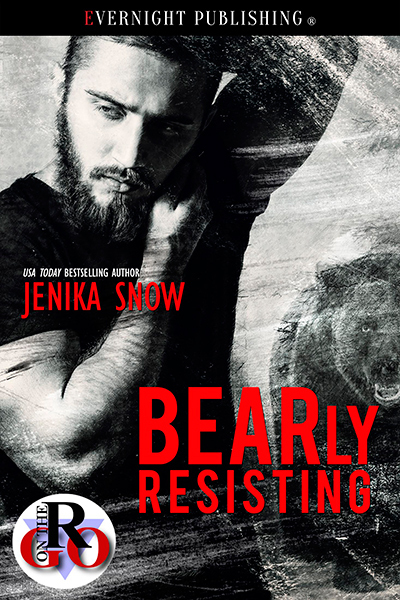 Alice planned a weekend of relaxation, but instead, she found herself mated to a bear shifter. Alice doesn’t fight the attraction she has for Killian, not when she wants to be between the sheets with him in the worst possible way. Alice is single one day and mated to a growly bear shifter the next, but can it last forever?